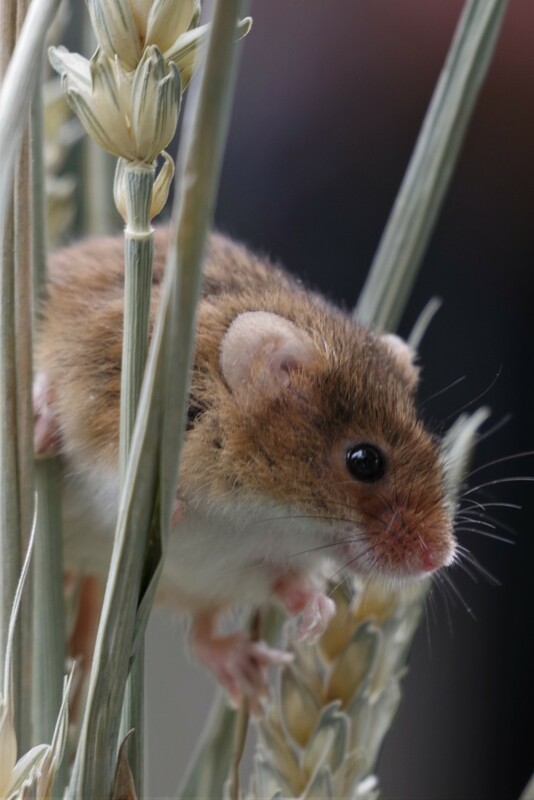 Harvest mouse on best behaviour. Got a lot of shots of its cute backside! This is unashamedly cropped!! He's even cuter on black I'm afraid!! A huge Aaaah from me, very envious of this shot! Aaaah that is wonderful, fav! Ahhh, what more could I say. Yup, ahhh, no other words suffice. You're right - the crop is what it was crying out for! You got some lovely shots of it, well done. @carolmw and it's only a mouose!! @joannakate not bad for a trained, endangered mouse performance!! @4rky thank you for following the instructin!! @sarah19 not bad for a mouse!! @brennieb now that's follwing instructions to the max max max! Thank you all so ery very much. He is not impressed that a mouse got on PP and He didnt!! If you are near Gatwick Airport I cannot recommend highly enough a visit to https://www.britishwildlifecentre.co.uk/ There were 12 photographers and we were able to enter the enclosures of foxes, wild cats, otters and view animals very close up. Well worth the 100 quid and all goes to support their rescue and reintroduction programmes. Ahhh somehow managed to miss this lovely shot! Where did you find this cute fella? Fabulous. Not sure how I missed this when you put it up. It’s excellent Sis. @robz me or the mouse?? great picture! It's kind of cute for a mouse! @lynnz and no where near a computer! !